The Group comprises of 11 major business sectors and was founded in 1992 since then it has continued to expands its market locally & Internationally. The MJB Group of Companies is a consortium of companies that are leaders in providing business consulting, cleaning and maintenance, real estate, rent a car and the security.Diversification with a focus on niche markets is the key to prudent entrepreneurship. The UAE-based MGB Group of Companies exemplifies this adage. Built on strong fundamentals, the MJB Group has emerged a market leader in the sectors it functions in through its focused approach, strong market intelligence, attention to details, sound deployment of modern technology and a commitment to quality.MJB has understood its need to keep pace with the ever evolving trade and global business trends. Our business practise is to contribute the best of our products and services to the Global Partners & Brands and continue in Leadership. 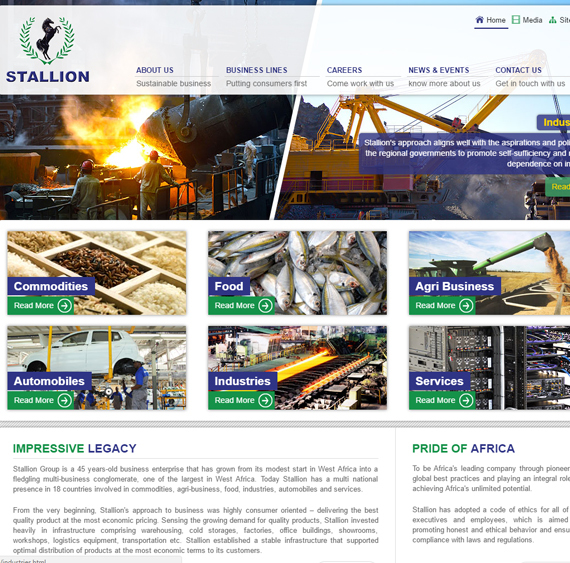 Stallion Group is a 45 years-old business enterprise that has grown from its modest start in West Africa into a fledgling multi-business conglomerate, one of the largest in West Africa. Today Stallion has a multi national presence in 18 countries involved in commodities, agri-business, food, industries, automobiles and services. From the very beginning, Stallion's approach to business was highly consumer oriented – delivering the best quality product at the most economic pricing. Sensing the growing demand for quality products, Stallion invested heavily in infrastructure comprising warehousing, cold storages, factories, office buildings, showrooms, workshops, logistics equipment, transportation etc. Stallion established a stable infrastructure that supported optimal distribution of products at the most economic terms to its customers. 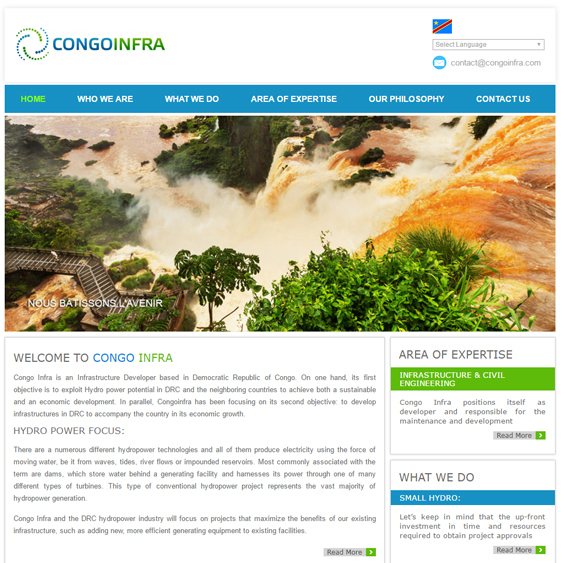 Congo Infra is an Infrastructure Developer based in Democratic Republic of Congo. On one hand, its first objective is to exploit Hydro power potential in DRC and the neighboring countries to achieve both a sustainable and an economic development. In parallel, Congoinfra has been focusing on its second objective: to develop infrastructures in DRC to accompany the country in its economic growth. 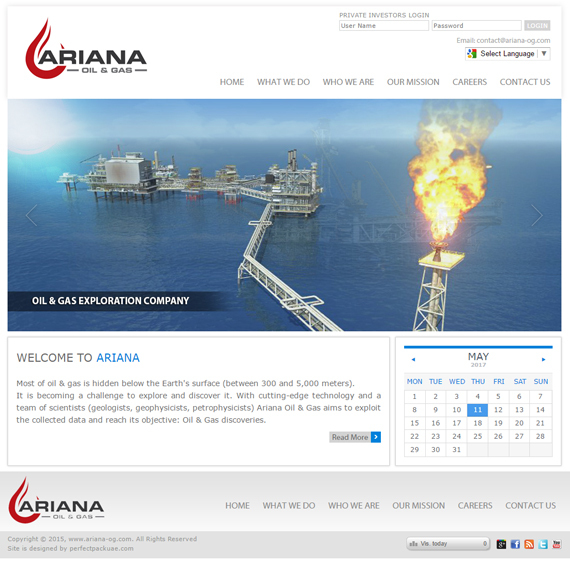 Ariana Oil & Gas is composed of two teams of international staff from different horizons. Each and every member of our teams makes an important contribution to the overall success of our company. 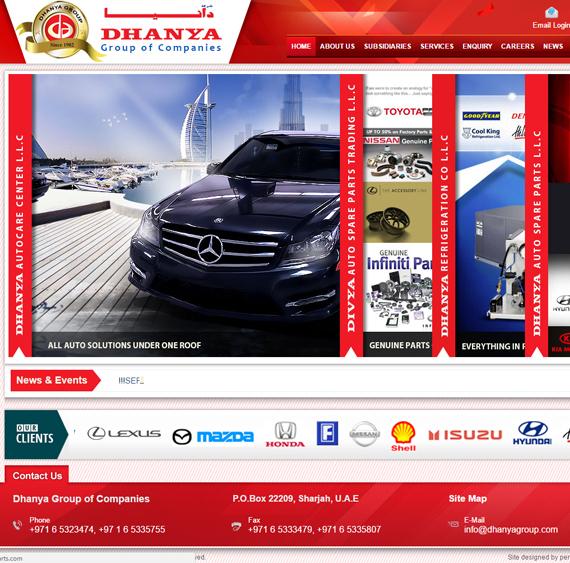 Dhanya Group was established in 1982, under the able leadership of Mr. John Mathai.Headquartered in Sharjah, U.A.E, we have an extensive network across the Middle East. In the last 30 years, we have successfully established multiple strategic business divisions to cater to the various requirements of our industry and customers. The chairman, Mr. John Mathai, a veteran businessman with years of experience in various industries, set a few values that every employee must embody and strive to achieve. He firmly believes that if every employee is dedicated and works hard, they can deliver extraordinary results that benefit our valued customers. His strategic leadership, direct involvement and constant motivation helped guide the Group to new heights. His extensive knowledge of various industries, helped us strategically plan and diversify our interests to fulfil the needs of our customers. 1) Travancore Business Excellence Award 2012 by the Hon. Finance Minister of Kerala, Mr. K. M. Mani. 2) Best NRI in Alleppey district by the Hon. Governor Justice of Kerala, Shri. P Sadhasivan. 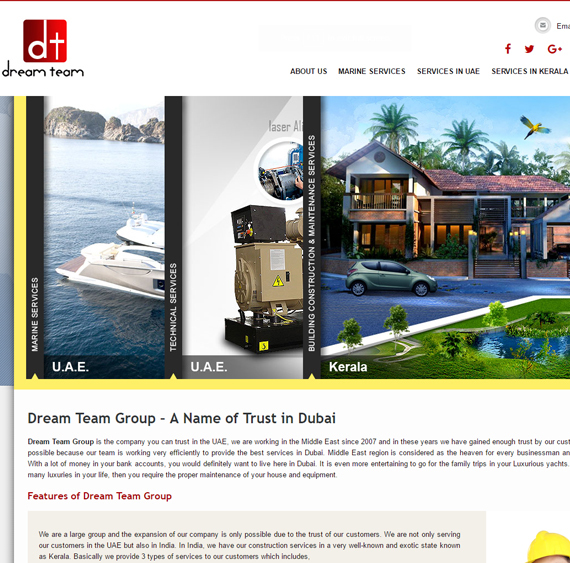 Dream Team Group is the company you can trust in the UAE, we are working in the Middle East since 2007 and in these years we have gained enough trust by our customers. 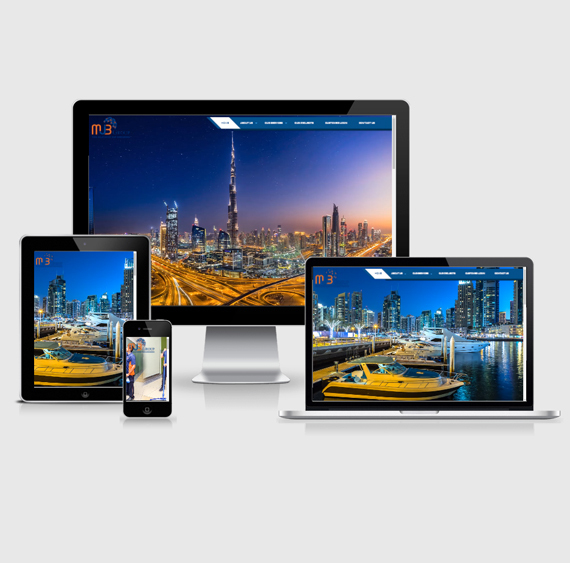 This is only possible because our team is working very efficiently to provide the best services in Dubai. Middle East region is considered as the heaven for every businessman and other rich people. With a lot of money in your bank accounts, you would definitely want to live here in Dubai. It is even more entertaining to go for the family trips in your Luxurious yachts. When you have so many luxuries in your life, then you require the proper maintenance of your house and equipment. Elenco Emirates Group was formed in 1968 with the aim of being a pioneer and leader in a nation that was on the threshold on unprecedented development. 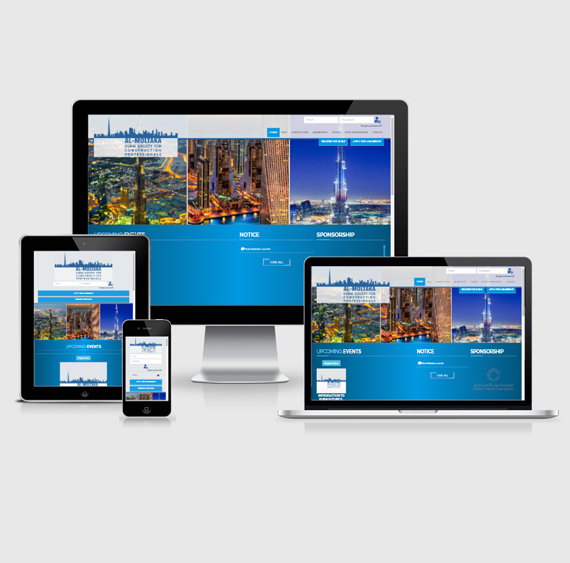 Such was the determination of its founder, a dynamic and sagacious individual, in achieving its objectives that very soon Elenco emerged as a major Organisation in the United Arab Emirates. Today, over three decades later, Elenco Emirates Group is firmly entrenched as a major business conglomerate engaged in multifarious activities. 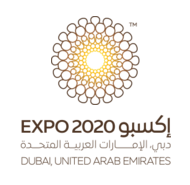 ELENCO Emirates Group is the premier parent group joined by Elenco Engineering & Contracting, Elenco Trading, Electrical Centre, Insulco Emirates, Elenco Emirates Metal Fabrication Factory and Elenco Security Systems. The group focuses on the diversified interests in trading of Air Conditioning, Kitchen & Laundry Equipments, Home Appliances, Electrical Equipments together with Installation and Maintenance of entire HVAC and other MEP Systems. 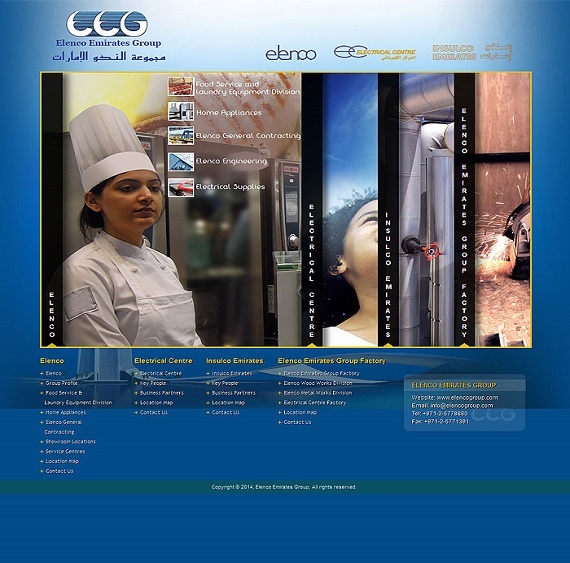 Elenco is committed to excellence and customer satisfaction through marketing innovative products of the highest quality, whether it is Home Appliances, Fire Alarm Systems, Electrical Supplies, or Industrial Kitchen Bakery and Laundry Equipment. With factory trained technicians, Elenco lays high emphasis in providing the best after sales service in the industry. Elenco’s Contracting and Engineering Division is totally geared to executing projects in the maintenance of air conditioning systems for the Government and Oil Sector. In this diversified network, Elenco considers its human resources as its strongest asset.